Ah, B30 went 5x5 there as well. Seems like this is widespread. 10x10 on B30 is interfering with SiriusXM services. SiriusXM and AT&T have always had and are still hashing out interference issues which have negatively impacted SiriusXM services. Get too close to a B30 sites and you lose your service. Apparently 5x5 is as well but not as bad. Apparently the fix might be to co-locate SiriusXM terrestrial repeaters at B30 sites. SiriusXM already has high powered repeaters in major markets, but those aren't enough to overcome interference issues once you get too close to a B30 site. AT&T is leading the 5G misinformation campaign like they did when they labeled HSPA+ as 4G all those years ago. They're going to start making their phones show 5GE (for 5G Evolution) in the status bar when they're connected to their LTE Advanced network and when devices are actually connected to 5G-NR it'll show 5G+ in the status bar. This seems like it's in reaction to the fact that their actual 5G-NR network won't be as widely available as Sprint Band 41 deployment or T-Mobile's 600MHz deployment so in an effort to convince their customers that they're better than they actually are, they are doing this. I came across this article today, has some interesting info and some cool pics of AT&T's lab setup. Pretty much everything around me already had B30 deployed, so I can't really tell if they are slowing down/stopping deployment for now. I have noticed that since it was reduced to 5x5 that I don't connect to it as the primary carrier much anymore, but still see it active in CA all the time. I figure that is because the uplink suffers so much at only 5MHz. From other peoples posts on the HoFo speed test thread it looks like most of the country is still 10x10 on B30. Hopefully they can get something figured out with it and go back to 10x10 here, which would give them 170MHz deployed spectrum in Louisville. 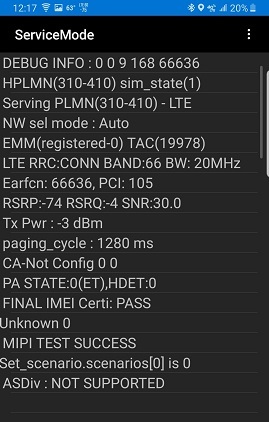 Yesterday, I decided to try locking my phone to Band 5 to see if I could spot any AT&T Band 5 in the area. At the top of a hill, I connected to 9EC9A01, which was unidentified. I eventually realized I had calculated that value from HSPA--it's the site at Mount Vernon. Evidently, AT&T got tired of waiting to do a full upgrade and did a GMO on the existing site there. It had been the last HSPA-only site I knew of in the area, and does not appear to have any other LTE bands on it, which is why I think this. Yeah, and when TMobile turns on 5G NR on 600MHz everyone is going to think it's a joke. 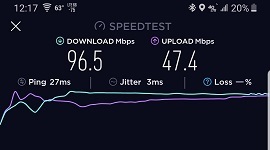 Reddit / articles are poking ATT because their 5G+ was 200Mbps. Well wait till you ride TMobiles 5MHz of 5G! Sadly Verizon and AT&T's bad demos are affecting people's excitement for 5G as a whole. At this point it looks like Sprint is the only carrier doing 5G right but because Sprint is the redheaded stepchild of the wireless industry, no tech site is taking the time to acknowledge them. And TMobile is Spectrum starved so if they're talkin about 5G launch then I'm just going to laugh at them even though I'm a customer of theirs I still call it bullcrap. They need much much more Spectrum. I wouldn't even be talking about it until I have all the pieces in order. Bad demos? VZW is pulling 1Gbps on their 5G. ATT pulling 200Mbps isn't too shabby either. I imagine that something else is going on as we know that 100MHz is capable of more. But this is just the starting point. Supposedly ATTs is 5G NR and VZW stuff is NR capable. The badness is coming from ATT going 5G E on their LTE. But really, with LTE Advanced Pro (Release 13 and up), these releases are pushing to compliment 5G. If you wanna call it 5GE that is honestly fine with me. It isn't the 4G LTE we had at Release 8 anymore. From Qualcomms documents on LTE Advanced Pro, Release 14 meets 7 out 10 5G broadcast requirements. These releases are on the pathway to 5G NR and bridges LTE even closer to 5G. Evolution is a pretty good word choice. Beats Pre-5G NR, lol. Sure people want to say "oh it causes confusion" but when someone connects to 5G NR on 5MHz of TMobile's spectrum, they are going to be pretty damn confused and want to be OFF 5G. T-Mobile I see as pathetic compared to AT&T and Verizon when it comes to the 5th generation Network rollout. T-Mobile is a joke with the lack of spectrum available for 5g. Also AT&T and Verizon have a much more expensive Network and have the Spectrum advantage. There were a number complaints about their live demos where they wouldn't let anyone hold the phone and the connection being so fragile that if someone walked in front of the phone the signal would drop considerably. We all know what Verizon and AT&T are capable of but when it came down to it, they screwed up their demo and tech sites ran with it and began posting articles about why you shouldn't be excited about 5G, etc. That said, the 5G Evolution name is bad and there really isn't any excuse for calling LTE another name except to con everyone into thinking that your 5G network is larger than it is. AT&T and Verizon won't have giant 5G networks initially so AT&T is only changing the name of the LTE network to make it seem like they have much more 5G coverage than they do. Just like when they called HSPA+ 4G when Verizon and Sprint were building their actual 4G networks out. T-Mobile's 600MHz network might be slow but at least it'll actually be 5G-NR. Even Qualcomm is lumping LTE-AP into the "5G ecosystem". From what I get, Qualcomm is putting LTE (specifically 'LTE Advance Pro' defined as 3GPP Release 13+) and 5G NR under the 5G umbrella. The webpage even says "LTE Advanced Pro (3GPP Release 13+) will be submitted along with 5G NR to fully meet the IMT-2020 5G requirements." If ATT is going by this definition, I think 5G Evolution is a great name for the LTE side and what ATT is doing might just become standard and not because ATT changed it with 'loose' marketing terminology. What's odd about it is that when I'm close to it, my phone jumps between several different GCIs. 9FD76xx is one, but I also connected to A10B8xx, A10BAxx, A10BBxx, and A10BCxx, all at strengths better than -60 dBm. Checking MLS, that data indicates there's also an A10B9xx that I didn't see but that comes from it as well. Any idea why I would see so many GCIs from that one site? Is it a 6 sector site by chance? I've noticed on all of the recent 6 sector conversions around me that there are at least 5 or 6 different GCIs for the site now. 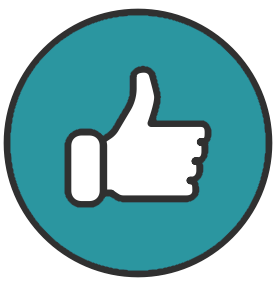 4 sector sites usually have 3 GCIs and upgraded 3 sector sites have two. Not sure what the reason is for multiple GCIs, unless its some limitation on the amount of sectors that can be addressed on the hardware. On sites around me with 10 LTE carriers on 7 bands, that makes 30 unique sectors on a 3 sector site, and 60 on a 6 sector site. Seems crazy. Edit: I've also seen new sites and new bands on existing sites have different GCIs for each band, but usually gets sorted out within a few days then resembles a normal site. It could be. I'm not really sure how to interpret what I'm seeing on that tower. I see three spheres and then two panels. I also suspect Sprint is on it somehow (or extremely close by; 030493/0318E3), and plan to run by this afternoon with my T-Mobile and Verizon phones. Trip, could you be seeing the start of a 5G site by one or more carriers? I have no idea. That's part of my question. I'm not 100% sure, but I think I saw Verizon and T-Mobile GCIs there too. They were very strong and I did not observe other antennas around. Definitely a unique setup, I've never seen anything like that. That looks like a MatSing ball fren, quite a find! You are seeing lots of sectors because this baby has LOTS of sectors. All the sectors actually. It's the ball antenna ATT / VZW ball uses for their COWs. @belusnecropolis linked it. They will always be the redheaded stepchild until they deliver big results on the network side against the competition. Also, everyone in the industry has given up to the idea that Sprint will be around in 8 months. 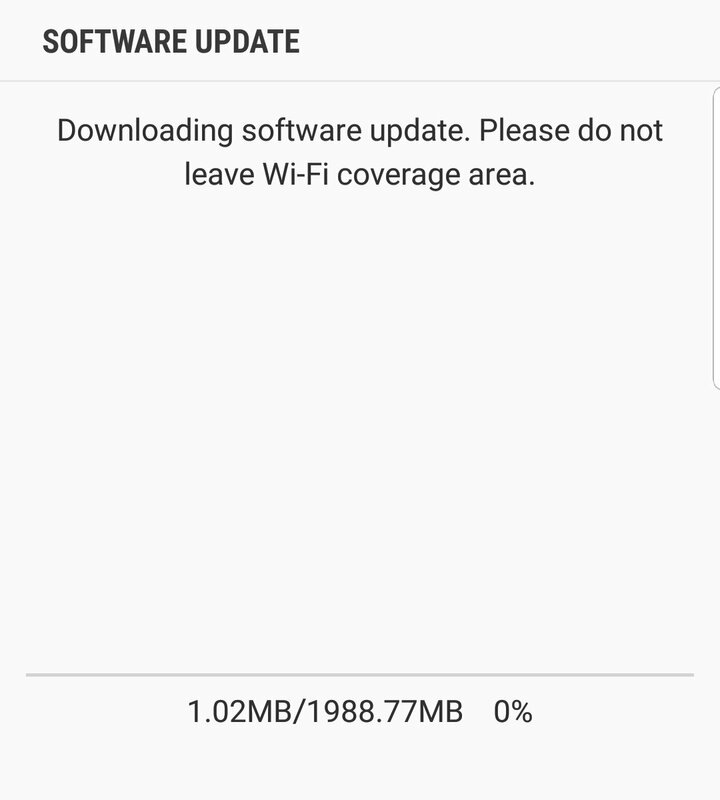 Got the Android Pie update for my AT&T S9+ just now, it's a big one. Taking forever to download. 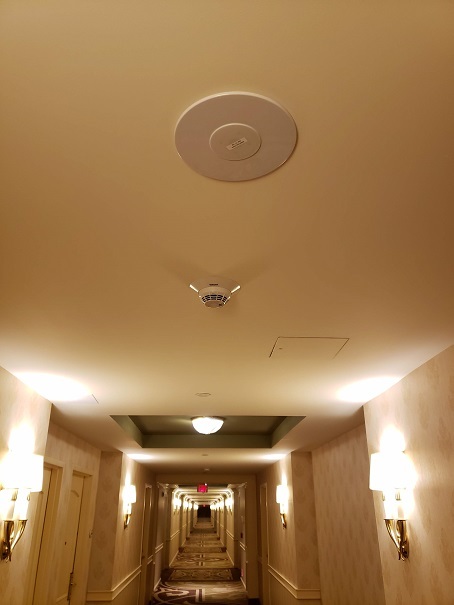 I found a new AT&T iDAS installation last week at the Belterra Casino in Indiana. It has been installed since my last stay there back in October. It was only broadcasting B12/B66, no MFBI for B17 or B4. My dad's older phone wouldn't see it or connect to it at all, and when I locked my phone to only B4 I couldn't see it or connect to it. There was also no CA between the two bands. 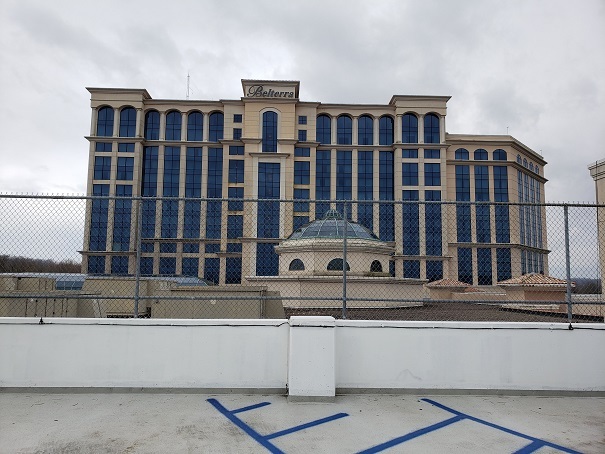 The iDAS covered the 15 floor hotel as well as the entry, restaurant, and shopping area up to where you actually get on the casino boat. They did not install it on the boat itself, I could barely get an HSPA+ connection while on the boat. The setup used the same GCI and PCI sector throughout the entire facility. The nodes are very inconspicuous and almost look like round ceiling speakers. 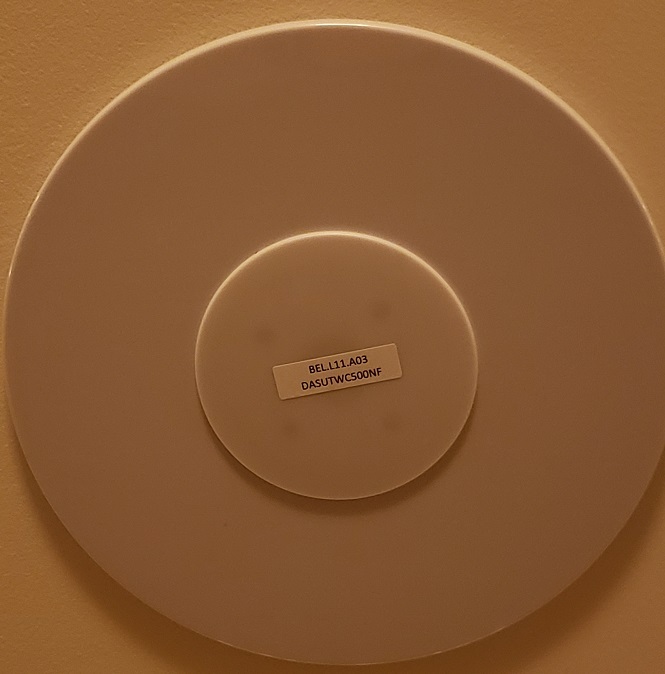 They were installed about every 30-40 feet in the hotel area. Speed was impressive, and much better than the < .5mbps I got on the hotel wifi. The B12 carrier was 5x5, the B66 carrier was 20x20.